Seals are always having too much fun to know that their future lies in human hands! Please help us HELP SEALS! VOTE for us with your lovely little BLUE TOKENS! Their future is in our hands! 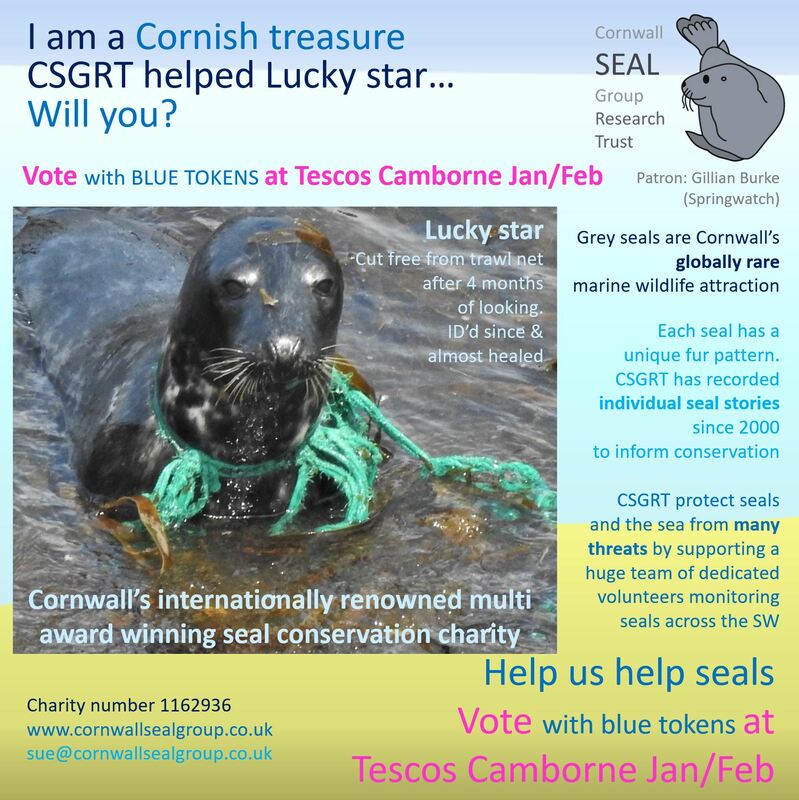 Cornwall Seal Group Research Trust (Charity number 1162936) aim to protect seals and their environment and put them on everyone’s agenda to give wild seals a voice in a world where money talks! We identify individuals from their unique fur patterns and share our photo ID catalogues with researchers and agencies around the Celtic Sea. We have known some seals for nearly 20 years and we have learned there is no such thing as an average seal. They don’t live in static colonies and seals from Cornwall have been seen in Devon, Wales, France and Ireland! Our evidence is used for policy / planning.